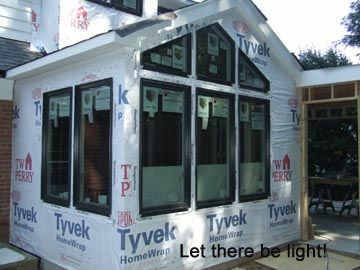 Part V in a series that follows our renovation of a Chevy Chase, Maryland home. The rear elevation of this Chevy Chase home was quite understated and lacked any real architectural character. 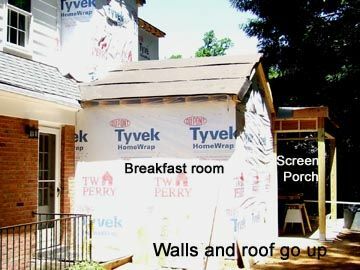 In order to maintain a conditioned, secure interior during construction, the breakfast room shell was constructed and weather-proofed before opening through the wall of the existing house and connecting to the kitchen. 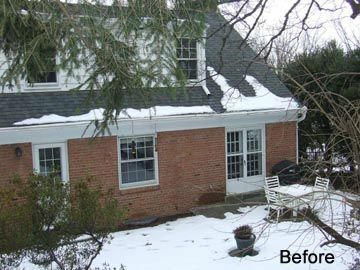 The new insulated, double pane, gas filled, low e windows reduce energy consumption while adding a modern style to this Chevy Chase, Maryland home’s exterior. PVC trim details bring everything together. 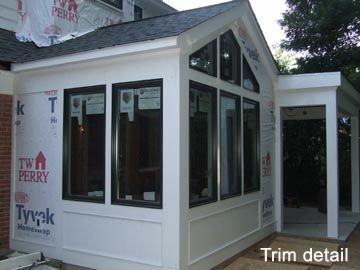 This amazing material comes in dimensional shapes and moldings just like wood, Impervious to water, PVC will never rot and paints magnificently making it far superior to wood as an exterior trim. High-quality modern materials like this meet the low maintenance needs of our clients while ensuring the quality of our craftsmanship will withstand the test of time, looking as good tomorrow as it does today. 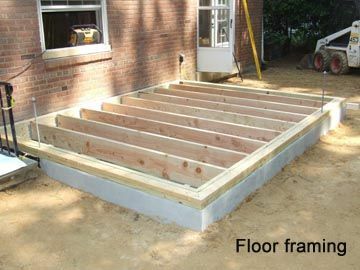 Continue following Pagenstecher GROUP to watch this Chevy Chase, MD home renovation take shape.